Working as a Freelancer – How Much Money Can You Make? To be honest, I cannot answer this question with an exact number because although a cliché, sky is the limit when working as a freelancer. I see in my Google Analytics a lot of people find me through asking questions like “how much does a graphic designer make”, or “how much a freelance marketing consultant makes”, and alike. 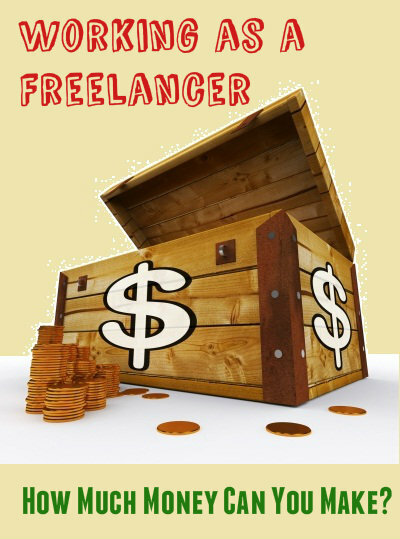 It all depends on the freelancer and how he or she positions themselves on the market. In this post I will try to explain how to make as much money as you want working as a freelancer. First and foremost, forget about how much money you used to make before you started working as a freelancer. We, freelancers, shouldn’t sell ourselves short. We really can earn as much as we want and as much as we think we are worth. A lot of freelancers who come from low socio-economic countries like India, Pakistan, the Philippines, even Eastern European countries, think it’s impossible to make a good living as a freelancer. They are used to getting paid low wages and think it’s normal to be so when they are freelancers, too. It may be hard for an American to understand because they are on strikes for $7.50 minimum wage wanting to increase it to $11 – but there are many countries where $7.50 per hour is considered ‘rich people wage’ so to speak. Nonetheless, we can and should sell our services for what they are worth. After all, that’s why we became freelancers – to put ourselves out there and to work on a world-class level. To do so, we should break free from the assumption we can make more money compared to what we used to make. We simply should start thinking about making more money, period. Don’t compare – think big. Think what you want to make and make a plan how to get there. I know speaking “in theory” isn’t convincing, neither useful, so let me put it into perspective. I will give you examples how much money a marketing consultant and a graphic designer can make, working as a freelancer, from what I have seen in my experience so far. I am not a designer. I am not even that good at giving instructions to designers when I am working with them. I can always tell you what I don’t want and I can always tell you what should be changed in a first draft design. I can tell you why I want something changed but I certainly wouldn’t be able to tell you how to change it. If you open popular freelance job boards, you will see there are designers, willing to work for as little as $5 or $10 per hour. I have hardly ever found a good designer working at this wage. Usually those are people who have mediocre (at best) designer’s skills. They have little to no feeling for color matching or esthetics. They have little to no knowledge about user experience. If you ask me, those are not really designers. Those freelancers are able to work with designer’s programs like Photoshop, Illustrator and alike but that’s about all they can do. Tell them exactly what you want – maybe they’ll get it right. Don’t you ever expect creativity! 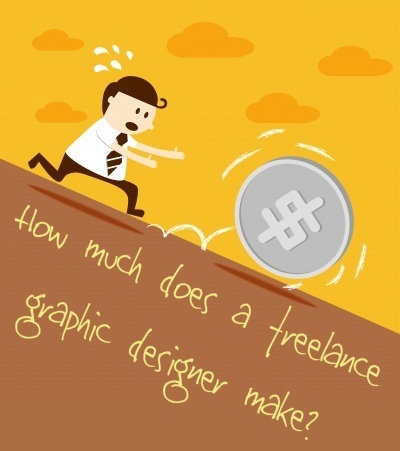 I am sorry I have to break this for you but if you are one of those designers, unless you improve drastically your designer’s skills, that’s about all the money you can make as a freelance graphic designer. If you are a true artist though, for whatever reason you charge as little as 5 or 10 bucks per hour – stop right now. Lean back and think about what you want. Maybe someone at some point told you that you need to cut your prices in order to land designing jobs. That’s not entirely true. Bidding under the competition is never a good idea. When you charge $5-10 per hour for whatever designing skills you have, you put yourself in front of all those clients who don’t care about quality – they have costs as their highest priority. You may land a job with them, alright, but you will never get to land a job with a quality client who would appreciate you for your artist skills. 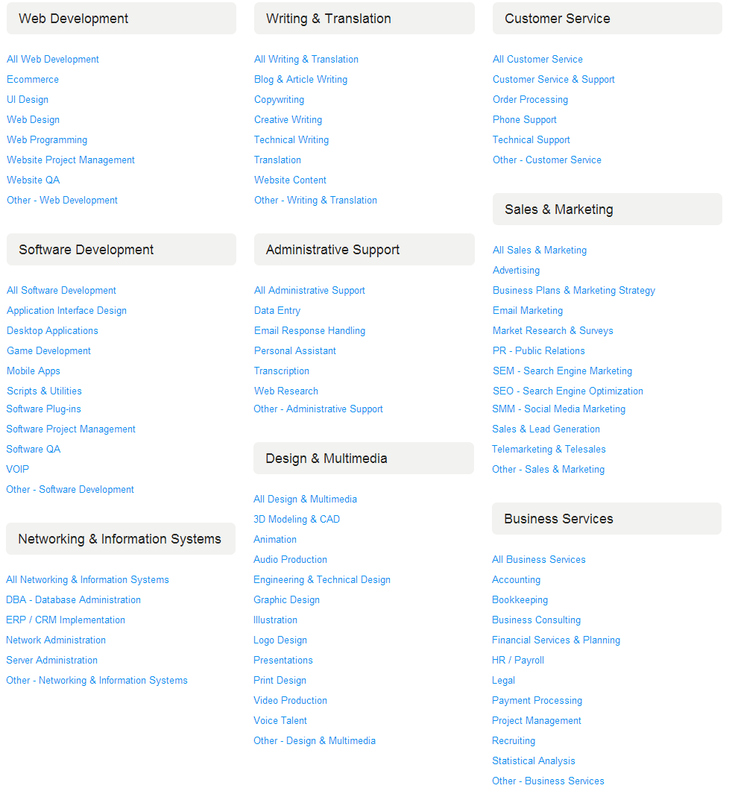 If you are a good designer, you can start charging anywhere between $25 to $50 even on websites like oDesk and Elance. If you are a great designer, with a little help from a marketing professional, you can position yourself right and start charging top dollar for your work right away. As your experience as a freelancer grows, you can start taking only fixed price jobs with clear terms of collaboration where your hourly rate could amount to $75 and $100+ per hour. The situation is similar when making a living as a freelance marketing consultant. There are “marketing gurus” available on freelance websites for as little as $7 per hour. Unfortunately, I was one of them when I was starting 5 years ago but in my defense, I didn’t know better. Anyways, back to the question how much money a marketing specialist can make when working as a freelancer. As I said, there are marketers for hire for as little as $7. You can find a marketing expert literally for all type of wages between $7 and $70, even on freelance websites. Majority of marketing experts who charge $7-$10 per hour are not very knowledgeable about marketing at all. They know some SEO, they may be able to handle your blog scheduling, browse your google analytics data, assist you in various marketing tasks like web research, competitors link profiling, etc. They have heard this is all in the marketing domain of any business so they called themselves marketing experts. You can find decent freelancers for 7 to $10 per hour but sooner or later, they all increase their rates when they realize they are worth and can get paid more for their services. The freelance marketers who work for years at $7-10 are probably good workers who cannot work on their own and are happy with the place they are at. Which is cool – everybody has the right to choose what to do and how to do it. 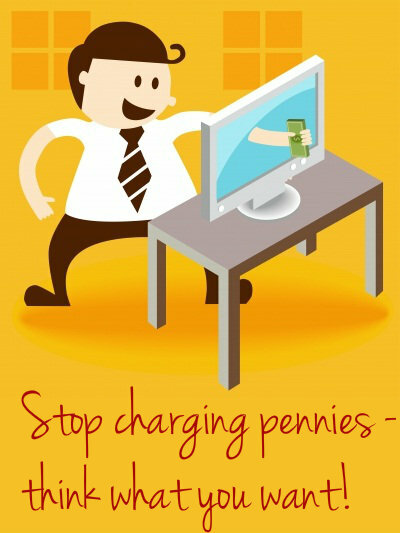 Stop charging pennies and think about what you want. 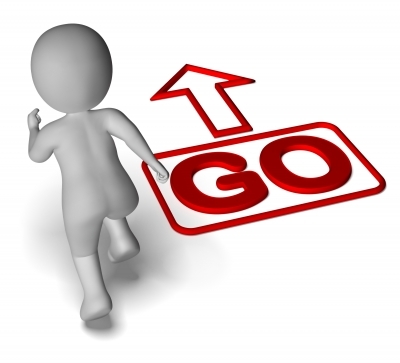 If you are good with following instructions, work well on daily basis when a clear objective and tasks are defined, but you lack the experience and expertise to plan on strategic level and/or manage your own team – then you can charge anywhere between $10 and $20 per hour on popular freelance websites. If you are smart and willing to learn and improve, you can grow, too – your wage is not set in stone and you don’t have to stay at the same level forever. If you can think independently though and help clients with strategy planning, then you can charge more. From $25-35 for social media marketing planning, through $50 per hour for team training and management, to $75+ per hour for consulting, marketing project management and coaching. The latter is harder to be found on freelance job boards – working directly with clients is a better option. And as your experience as a freelance marketing consultant grows, you will be better at estimating the time and effort needed to complete a task. So you will be able to take more fixed price jobs and calculate your pricing in such a way that your hourly rate would amount at $50 or $100 per hour even if the gig is not as high level as coaching but e.g. integrated marketing and/or strategy planning. As discussed before, your price depends on many and different factors. To name a few – complexity of the task at hand, how experienced you are, how skilled you are, how busy you are, what the turnaround time is, how well known you are, how referable you are, and so on. Read my 3-part series about setting your prices as a freelancer – on your freelance profile, when charging by the hour, and when applying to fixed price jobs. And let’s not forget when working as a freelancer, you have the freedom to decide how much you want to work. 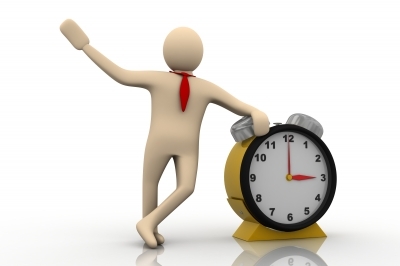 Your income is proportional not only to your hourly wage but to the amount of working hours you put in. If you work 20 hours per week at $25 per hour, you’ll make 2K per month. If you work 40 hours per week at $25 per hour, you’ll make 4K per month. If you work 20 hours per week at $50 per hour, you’ll make again 4K per month. And if you choose to work 20 hours per week and can land only high-paying gigs at $100 per hour, you income would amount to 8K per month. You can of course work on some projects at $25 and others – at $50. It all depends on the project and complexity of work. All of these scenarios are possible – it all depends on what you want and what you are capable of. As you can see, how much money you make as a freelancer is very subjective. If there is one takeaway in this post, it would be that anything and everything is possible. It really is a matter of goal setting, planning and sticking to the plan afterwards. Tell me in the comments – was this post useful? 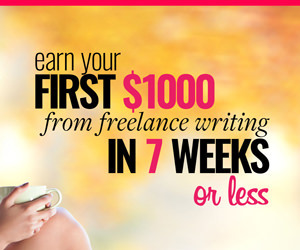 Do you now have a better understanding how much money you can make as a freelancer? What else would you like to know? Everyone wants to know what they can earn and what to charge, but realistically it is dependent on the task, experience and customer as you pointed out. But I think you have given some great ideas and limits to consider for people when pricing and I am sure they can now head off and give it a go! Nice to see you again commenting here, Ash 😉 I like to think that sharing the “methodology” for calculating one’s price is way more valuable than just giving you a price to use, right? Thanks for the positive feedback! I’ve really given great thought over what to charge as I’ve started to take on more freelance editing clients. I see people who proudly exclaim how they hired someone on Fiverr to do three hours of copy and pasting blog posts into Word documents. That just makes me skin crawl. I would never pay ANYONE the equivalent of $1.66 an hour for any kind of work, no matter where they lived in the world. While I’m not charging full professional rates yet, I am charging more than many so-called “editors” I’ve come across. I just keep reminding myself that a lot of people still don’t mind paying for quality over quantity. Anyways, you are absolutely right – there ARE people willing to pay top dollar for quality so continue in the same direction; positioning in front of those clients is key! Determining rates is tough for those new to the field, even if they are highly skilled. I’d rather pay someone more money for quality work, and I’d rather charge more for quality editing, too. I’ve been considering raising my rates, too, and think I will do so soon! Raising your rates once in a while is a must. I am glad you are already at that stage, Lorraine 😀 – with your experience as a freelancer growing AND your schedule filling up with assignments, you definitely should consider raising your rates accordingly. Glad i could help, Mary! 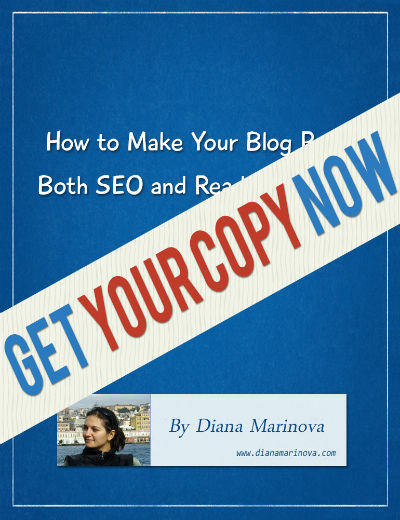 hey Diana, It’s really very well writing and useful post, thank you :)…yeah how much money we make as a freelancer is very subjective…well, from your points of view, what should be the hourly charge for an experienced writer and web researcher? Thanks for your comment, Nafisa – but i think you missed the main point here… the purpose of this post is to help you figure out your own rates, not to wait for someone to give you a number. And if you are interested specifically in tips for writers, there are many blogs out there focused specifically on writing (mine isn’t – i am a freelance marketing consultant and for that reason, i focus on freelance, marketing, and freelance marketing, not writing). And from you reply, i gather my remark about writers taking research work didn’t come across as intended – of course you should take work that interests you even if those are different types of work, in your case, that’s apparently writing and research – but be careful not to sell your writing services short because i am sure quality writing costs way more than web research. its really hard to find high paid jobs in freelance sites, how can we approach direct clients while living in our country ?